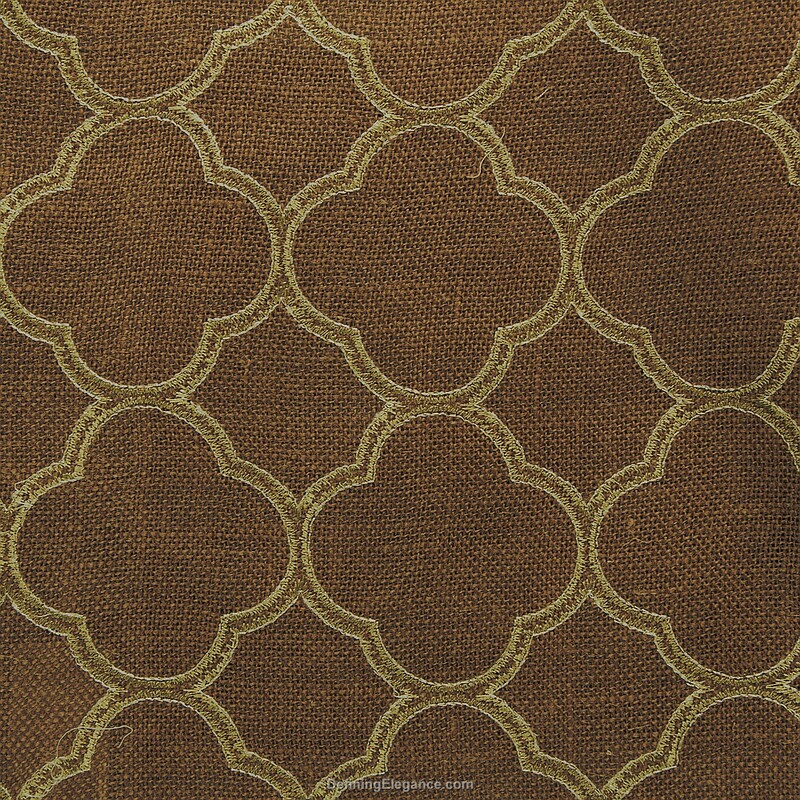 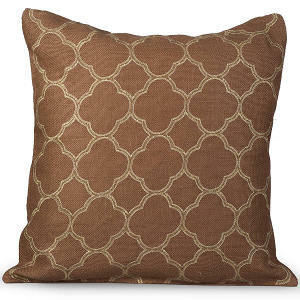 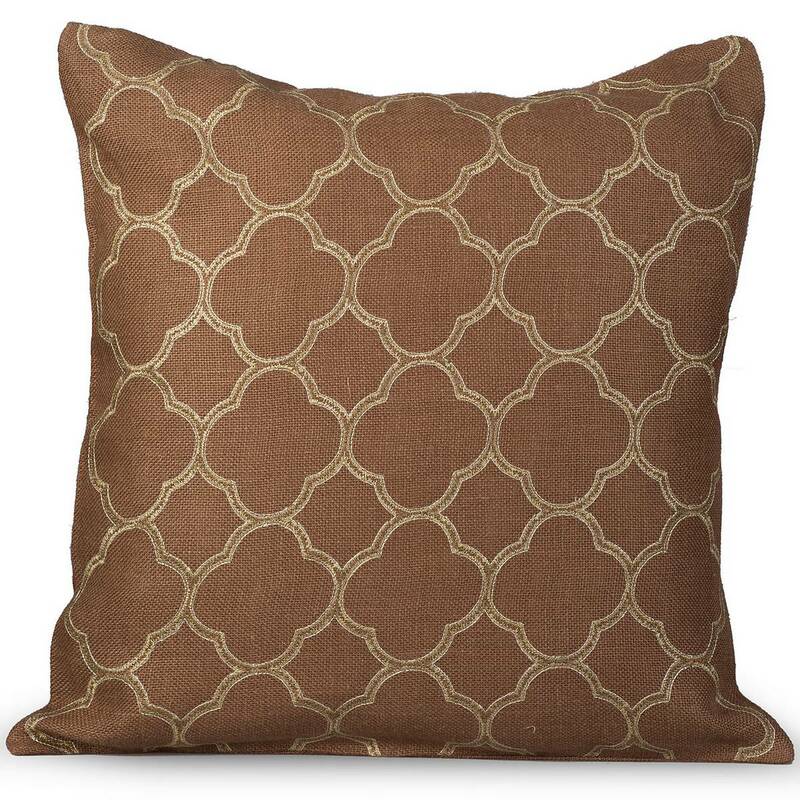 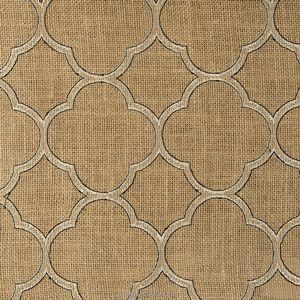 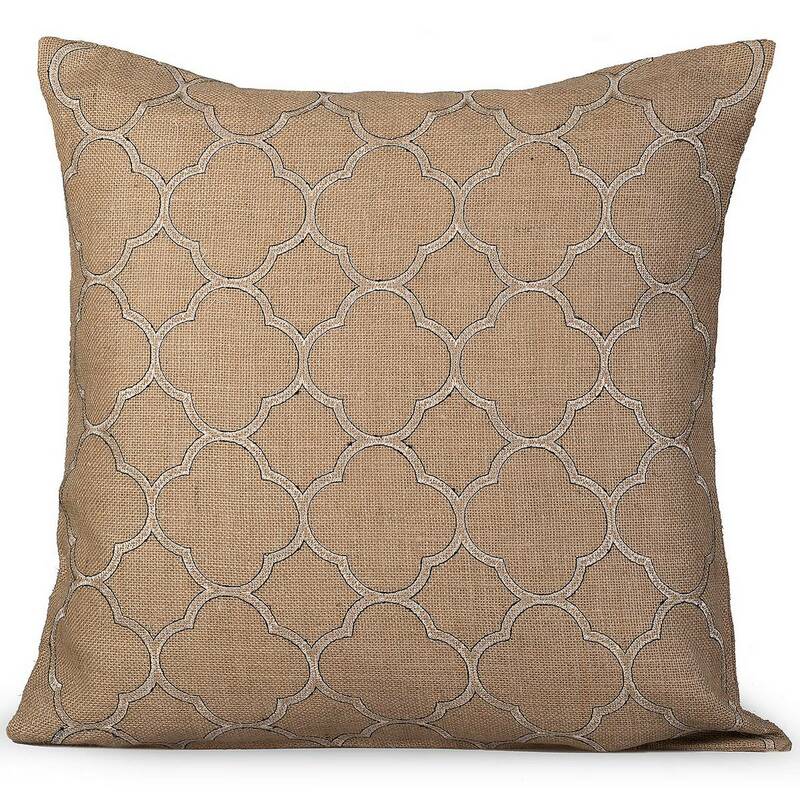 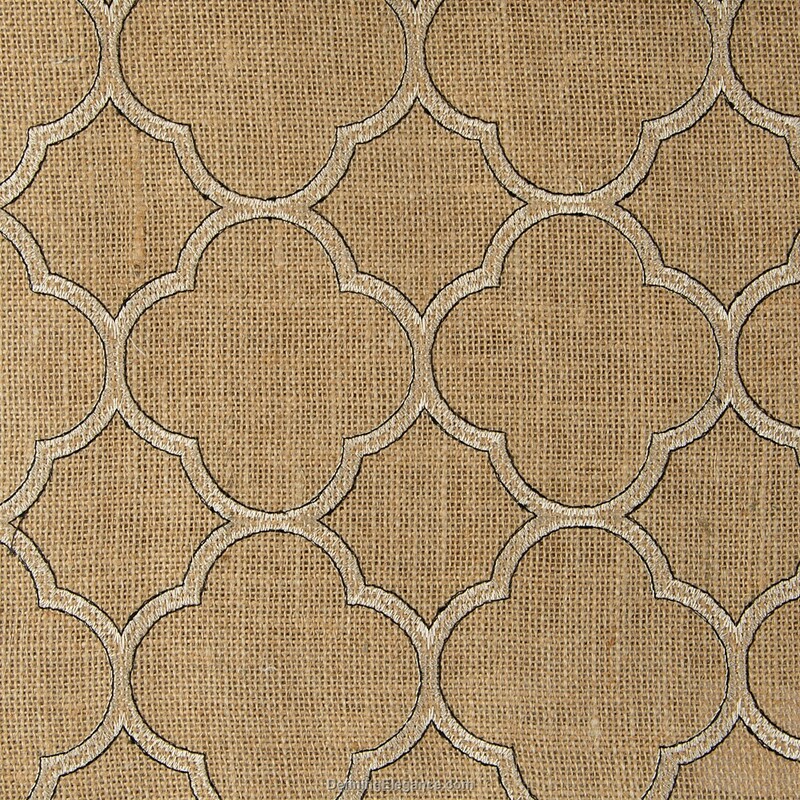 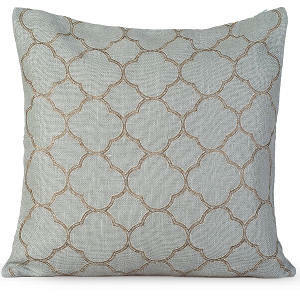 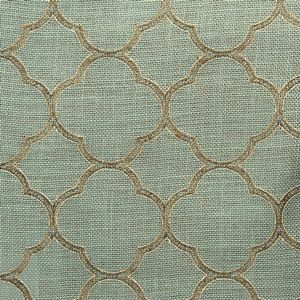 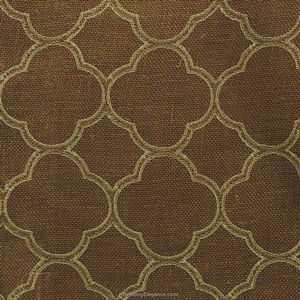 Jute drapery panels and decorative pillows with embroidered quad circular designed motif, drapes beautifully and is available in three colorways. Sample fabrics may be purchased and returned within 15 days for a full refund. 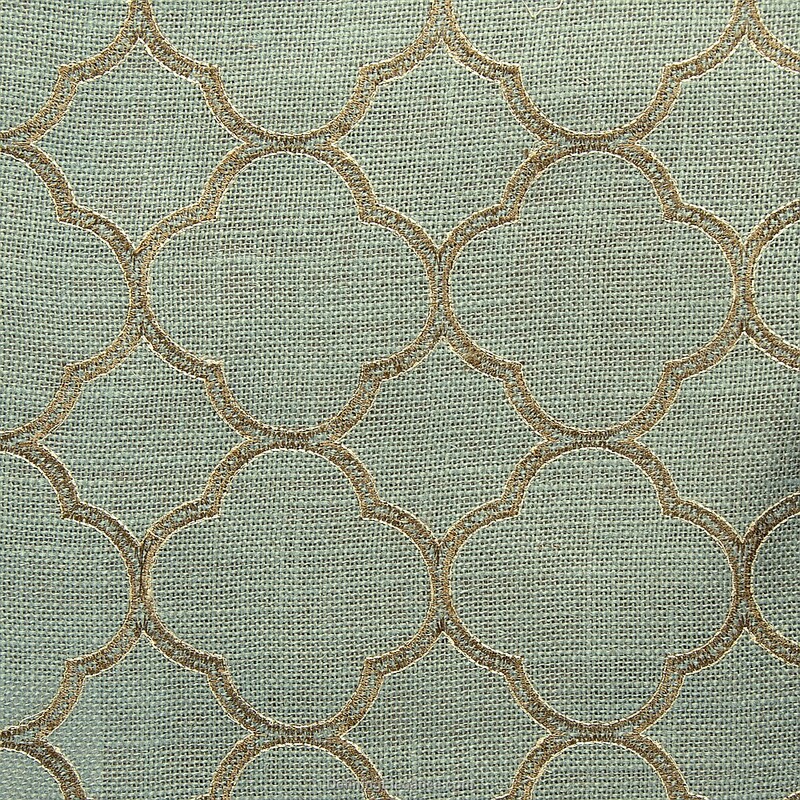 Photo shows Intricate in natural color in the rod/back tab style. 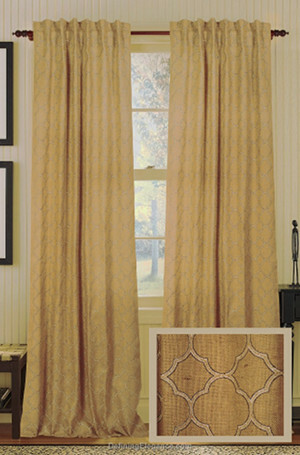 Muriel Kay Intricate Drapery Panel - 84"